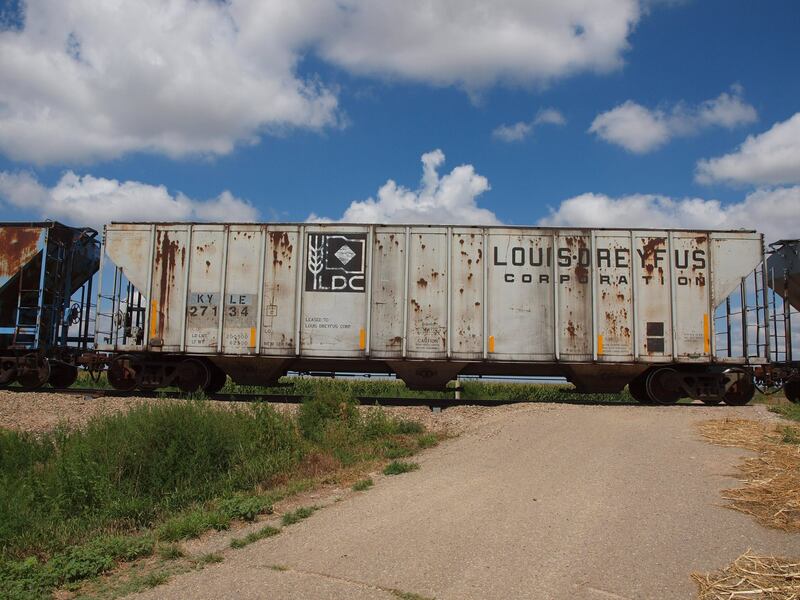 In Part I and Part II of this series, we looked at prototype methods of moving cars without locomotives. 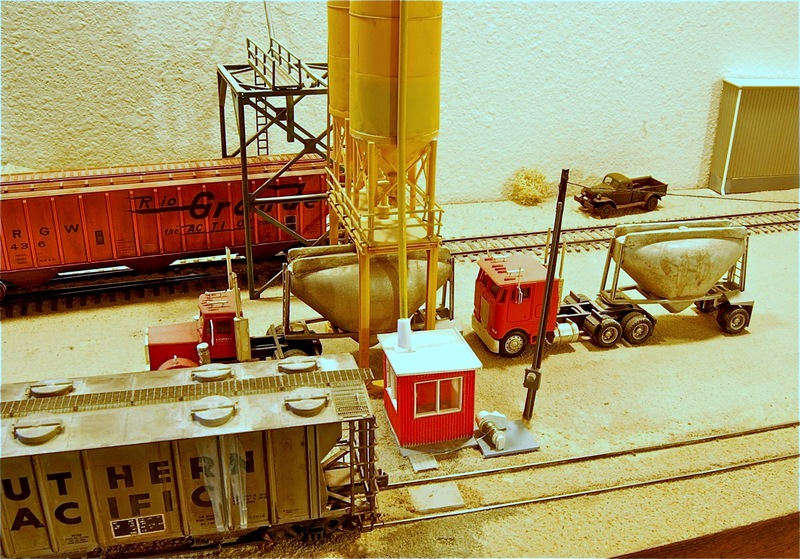 In this post, we are going check out some HO scale car pulling operations on B. Smith’s LCN RR. The scoria operation has a car puller winch pictured below. See small orange “light house-shaped” object with cabling. The cables are attached to the car, and the winch is employed to shuttle to car to the correct loading position. Let’s head down the track to a different system. 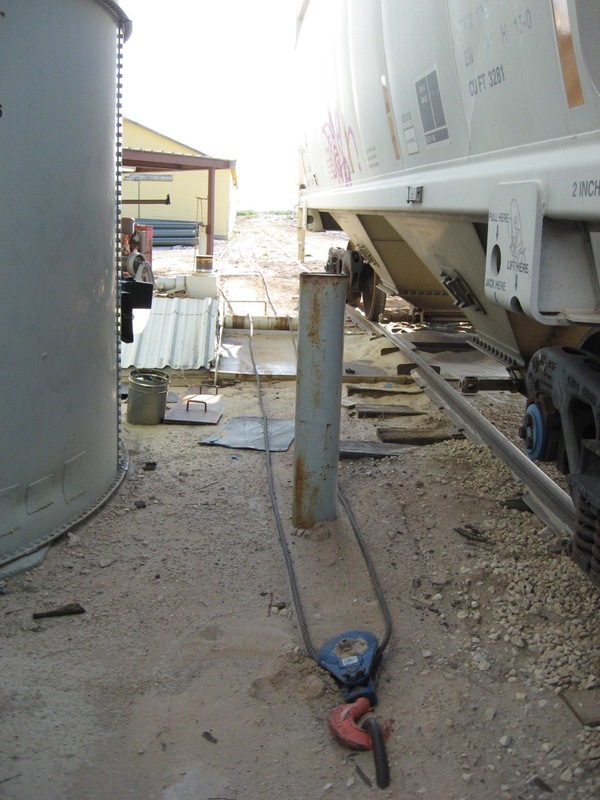 Max-Flow Frac Sand has a car puller cable and reel system to position covered hopper outlet gates over the auger hole. 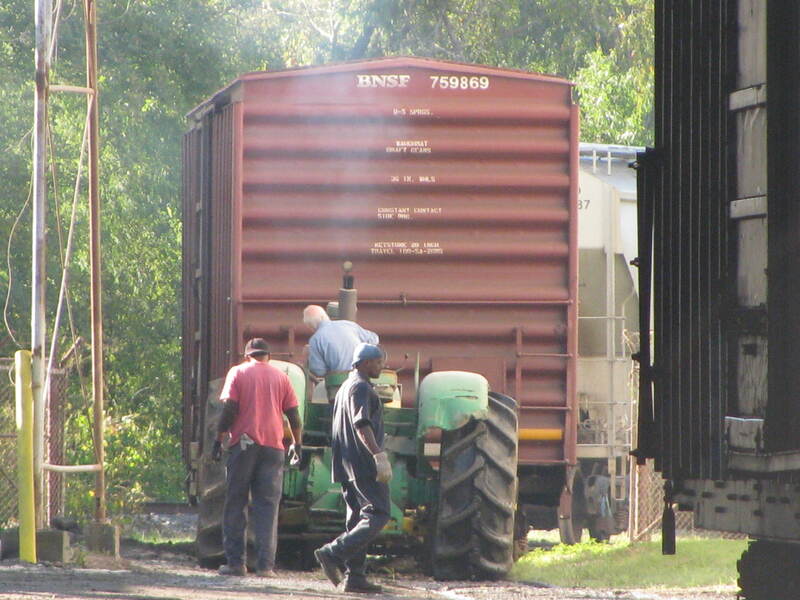 A tractor is still used to move the cars across the road crossing. The car puller was made with parts from the scrap box. I found a reel from an old ship model. All right, let’s go check some “simpler” operations. The tractor at Hirschfeld shoves a load out of the fabrication building so another car can be spotted for loading. 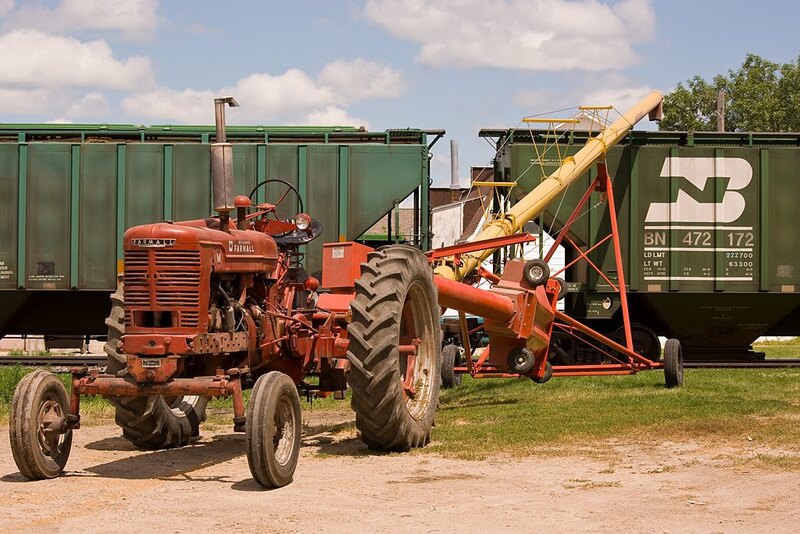 Hirschfeld Steel uses a modified John Deere tractor whose wheels are wide enough to fit outside of the rails. John Deere moving cars at Hirshfield Steel. 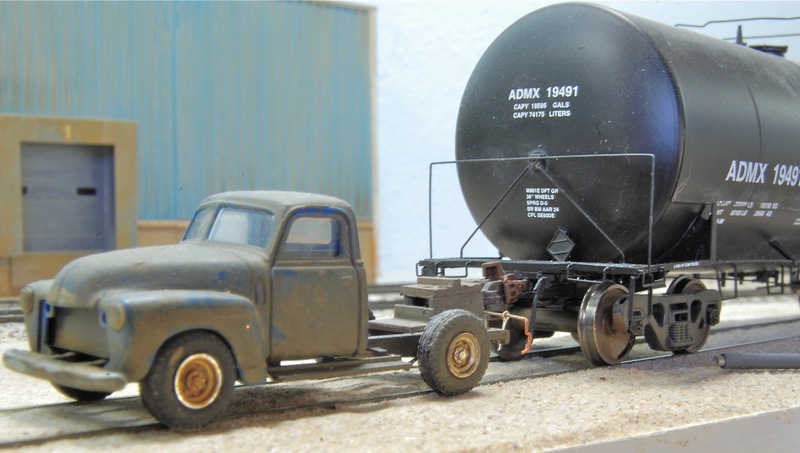 The Burnt Biscuit Bakery uses an old Chevy pickup whose bed has been removed and a railroad coupler attached to move tank cars of corn syrup and airslides of flour. The bakery has an old truck fitted with a coupler to move cars around. Close-up of interesting approach to moving cars. 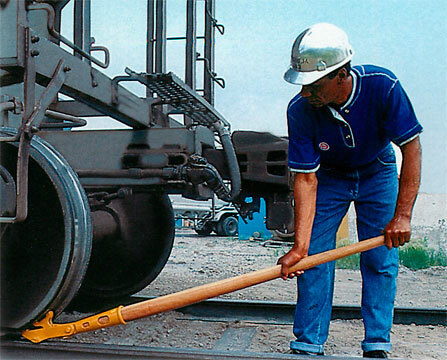 Indeed, there are many ways to move cars around without a locomotive. For a one car scenarios even man-powered solutions may work. 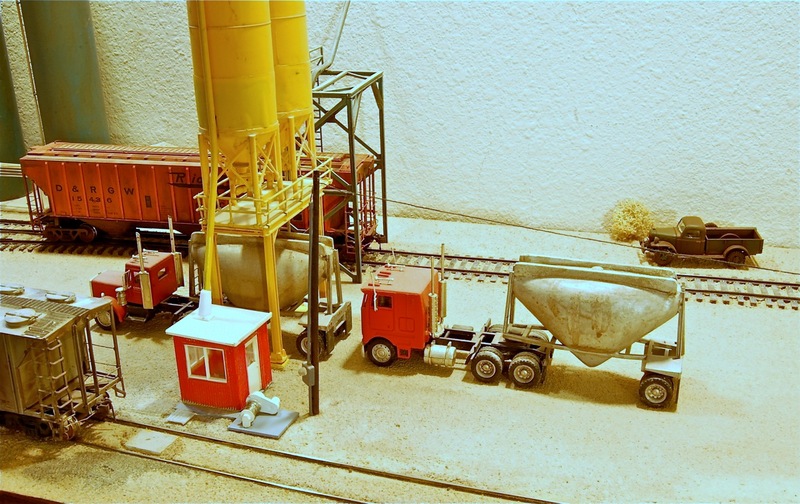 Thinking about how the customers on your layout function in the real word with the challenges offered by grates, spouts, etc., makes for richer, more realistic operations. 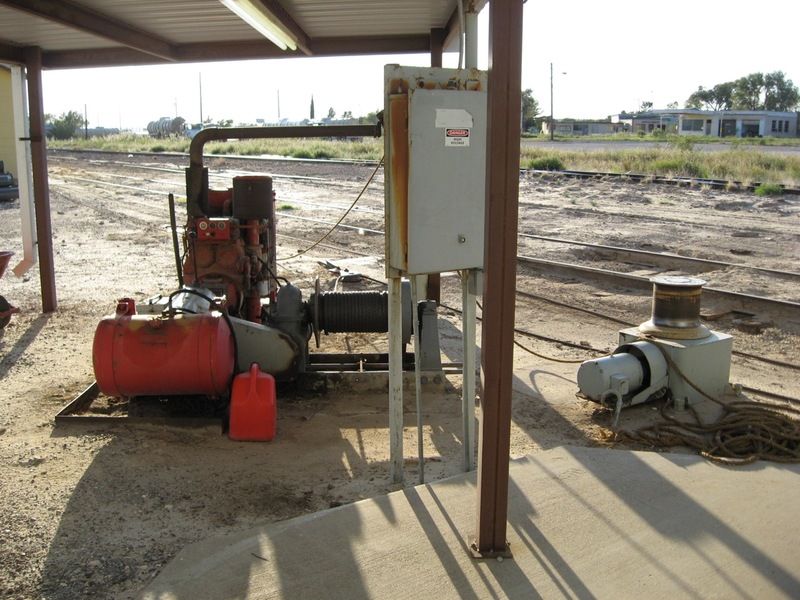 Small cable system at Miles, Texas about 2009. 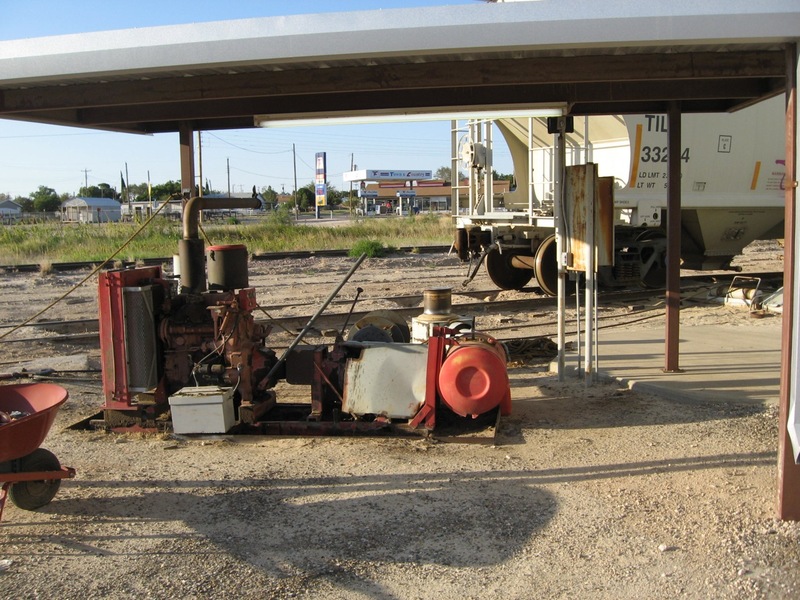 Now we will visit an industry that had a much larger version of similar technology in Rankin, Texas also on the Texas Pacifico Railroad. Badger Mining in Rankin, Texas, 2008. The rope is used to pull the steel cable back here so the steel cable can be hooked to loaded cars. Empty cars after being pulled down for unloading. 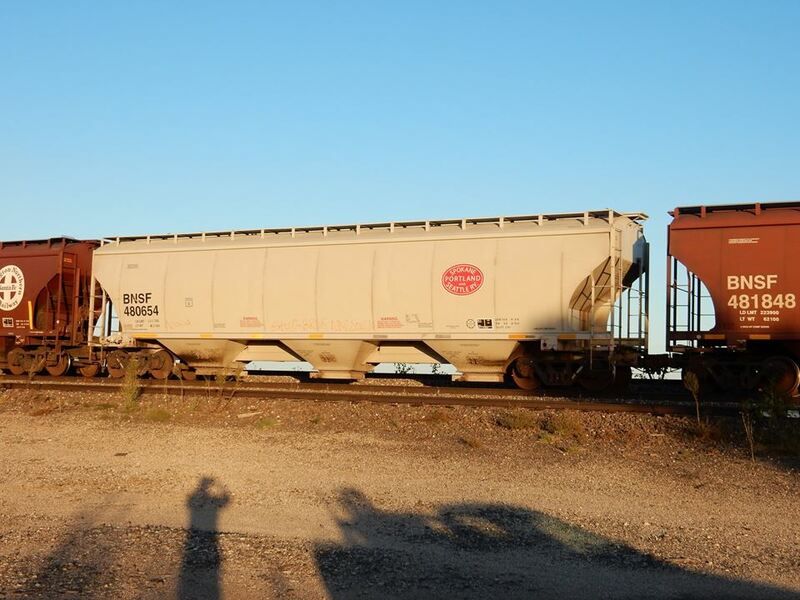 The cars were not uncoupled but moved together. Nine or ten cars could be moved, this was all the siding could fit. Power unit is shown under shelter. 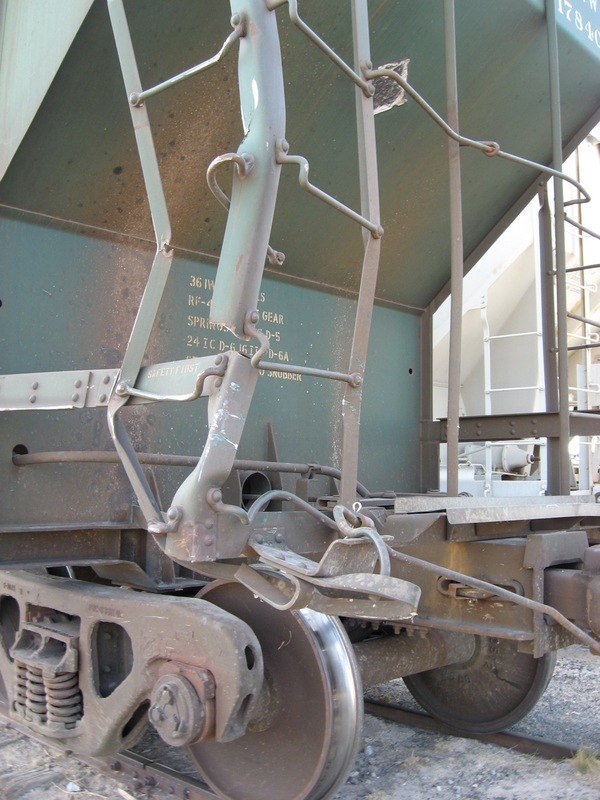 The roller lifted the steel cable over the unloading trough cover. Two pulleys were required, one by the cable reel and this one. The electric winch and rope on the right were used to pull the steel cable back down to the left. You can see the first pulley here just above the steel cable reel. The motor on the left, the transmission to the cable reel, and the fuel tank. When Haliburton took over the operation, things changed. The cable system was abandoned. Cable system deactivated. 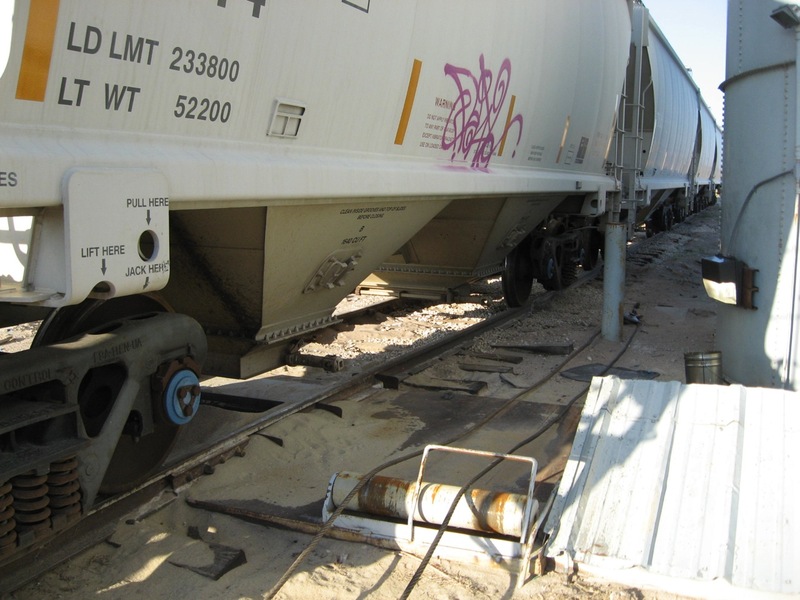 Note loading grates underneath and to the left of the Union Pacific hopper. Note cable system is now deactivated. This is how the cars are now moved at the Rankin plant. 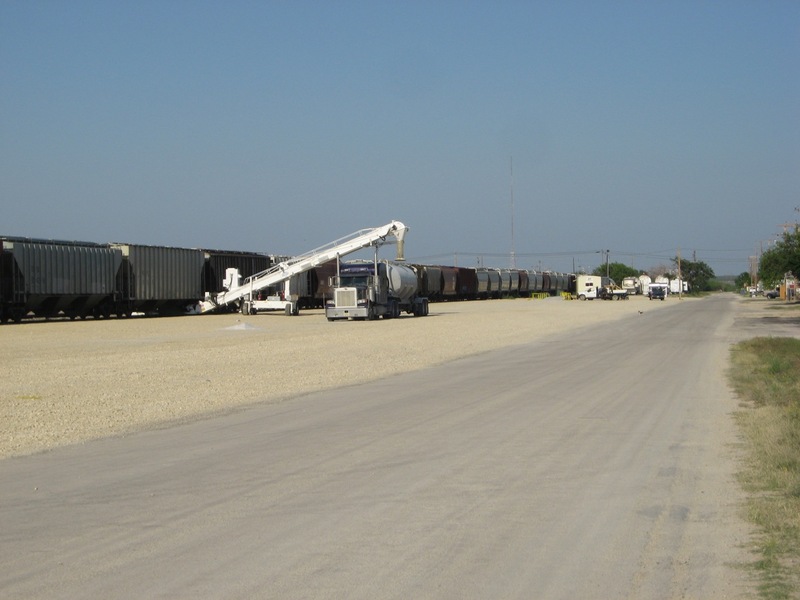 The last company we will visit in this post is Texsand in Fort Stockton. 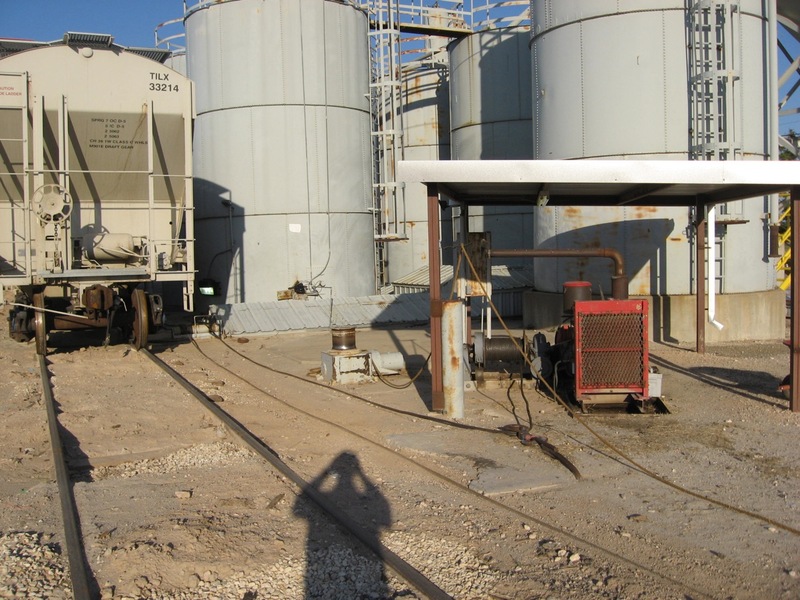 Texsand also receives frac sand. 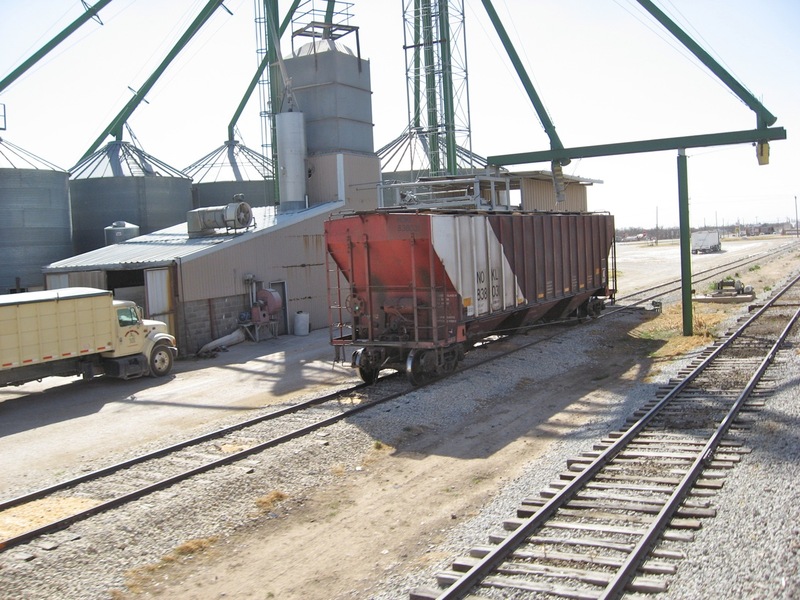 Like many frac sand dealers who have had to rush to meet demand, Texsand is challenged in having to transfer a great deal of sand from train to truck with minimum supporting infrastructure. 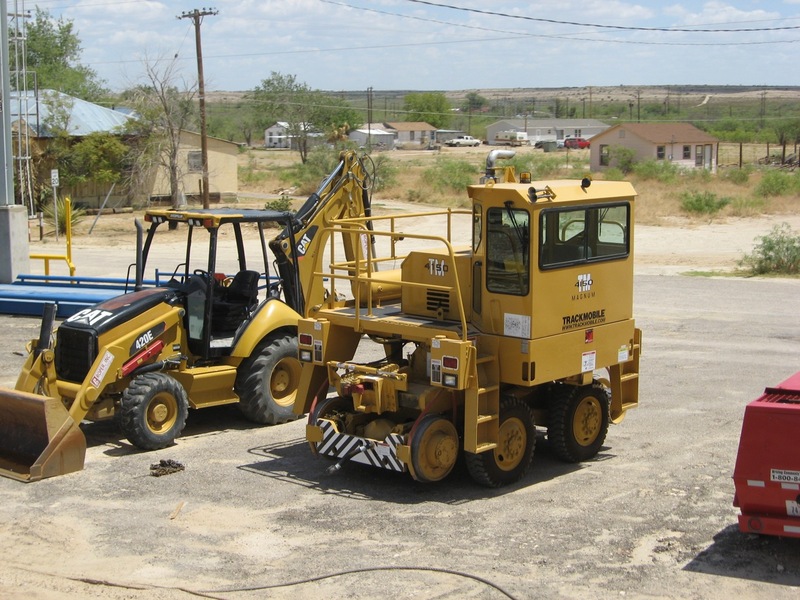 Initially, Texsand used a front-end loader to move cars. That proved problematic fairly quickly. Damage from using front end loader. After this, they acquired a track mobile. 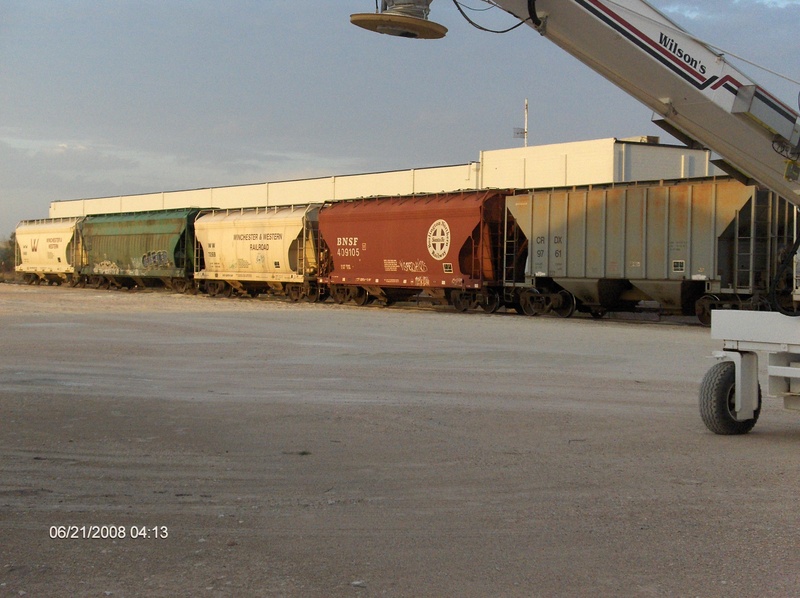 Trackmobile at Texsand in Fort Stockton. Texas about 2010. 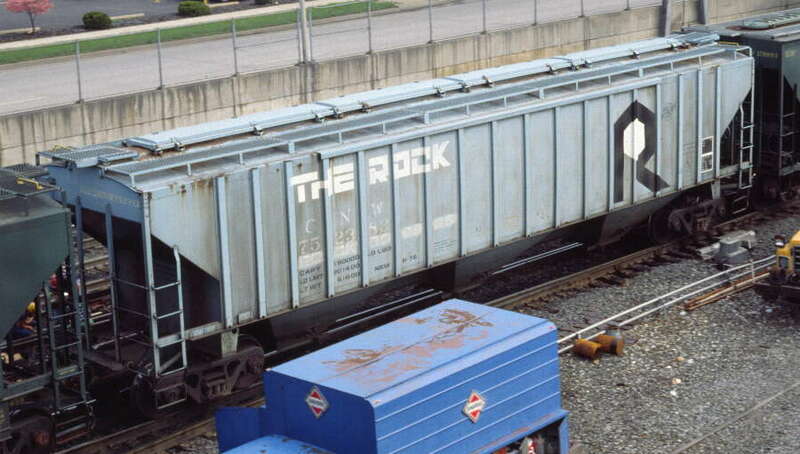 The track mobile was a good solution until the volume exceeded what it could handle. 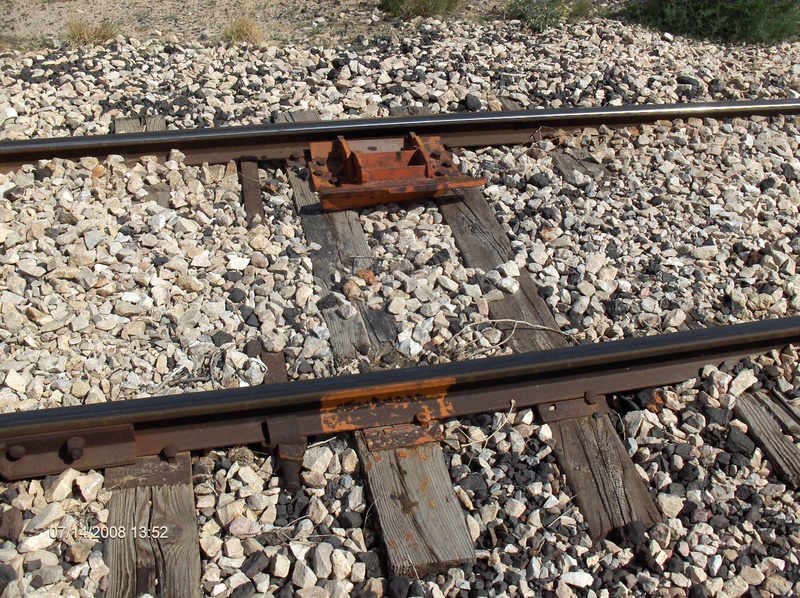 At that point, the railroad began to switch the operation. 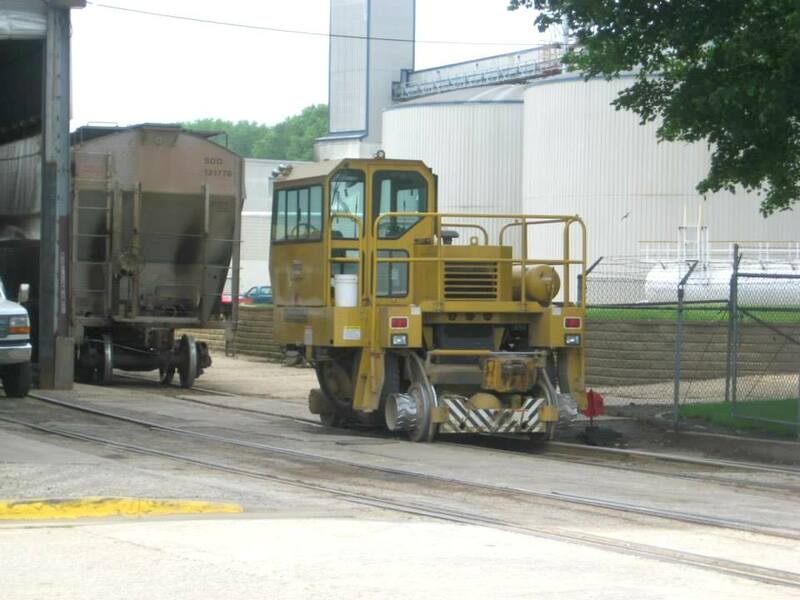 Fortunately, they use mobile conveyors to transfer the sand, so locomotives are only required to move large cuts of cars. 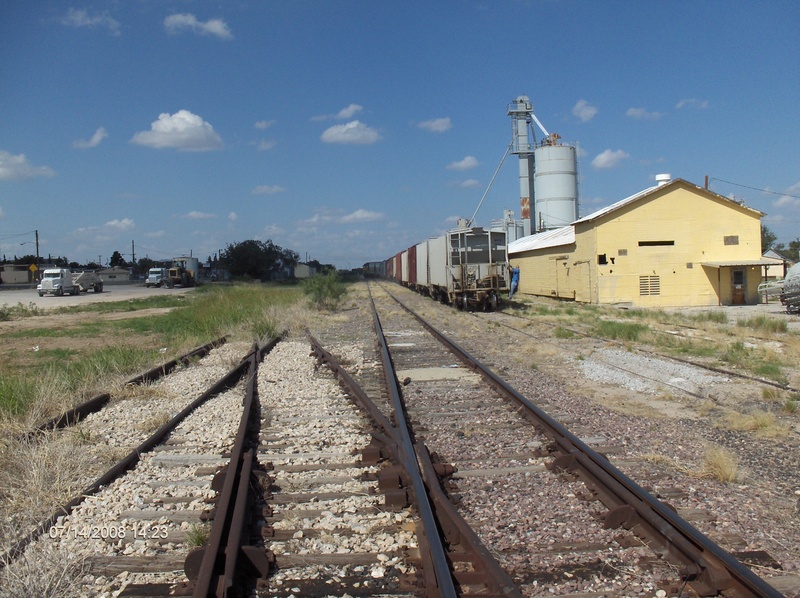 Conveyor at Big Lake, TX. 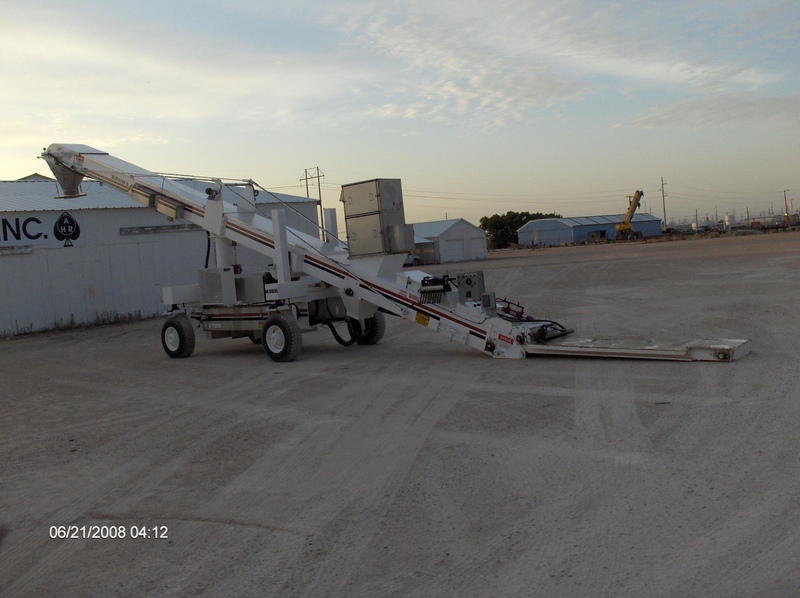 Conveyors are common place in the sand business in West Texas. 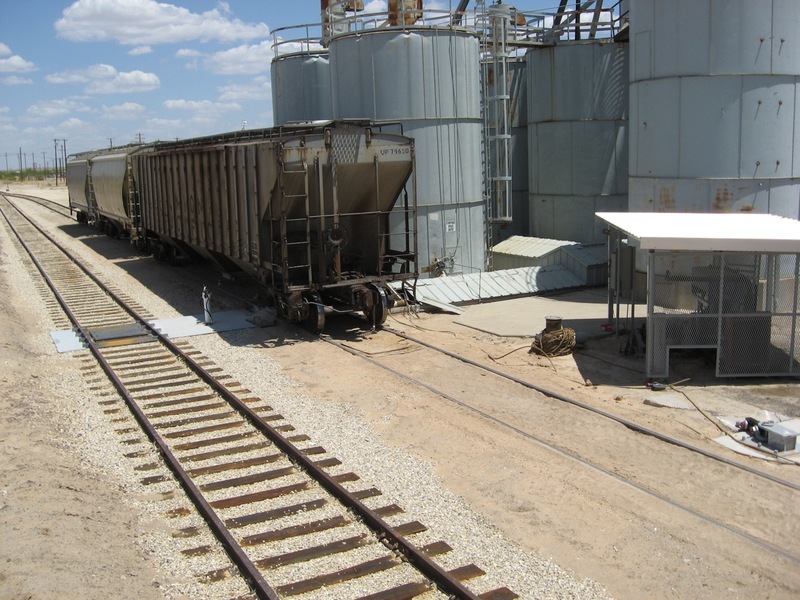 Today, at Ft Stockton, McCamey, Big Lake (above), Barnhart, and San Angelo, rather than move the cars to a unloading spot over a hole, mobile conveyors move from car to car and transfer the car contents to trucks. 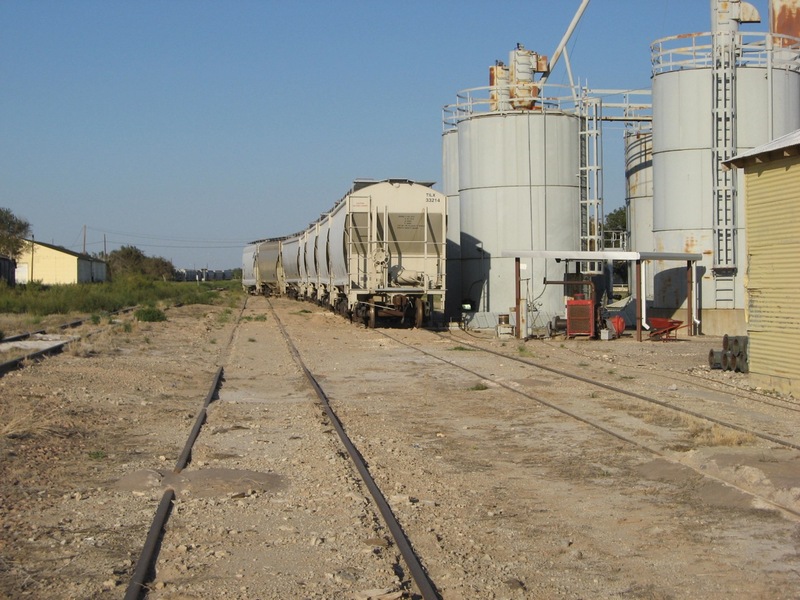 Since there are different grades of sand, cars are not always unloaded in order, and the railroad has to switch out the empties from the loads. 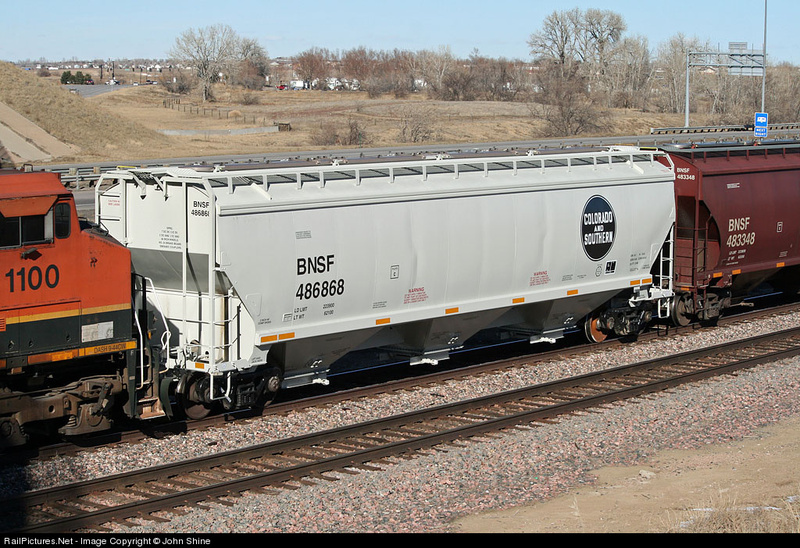 In the next post, we will visit how shippers along B. Smith’s LCN RR, tackle these challenges. 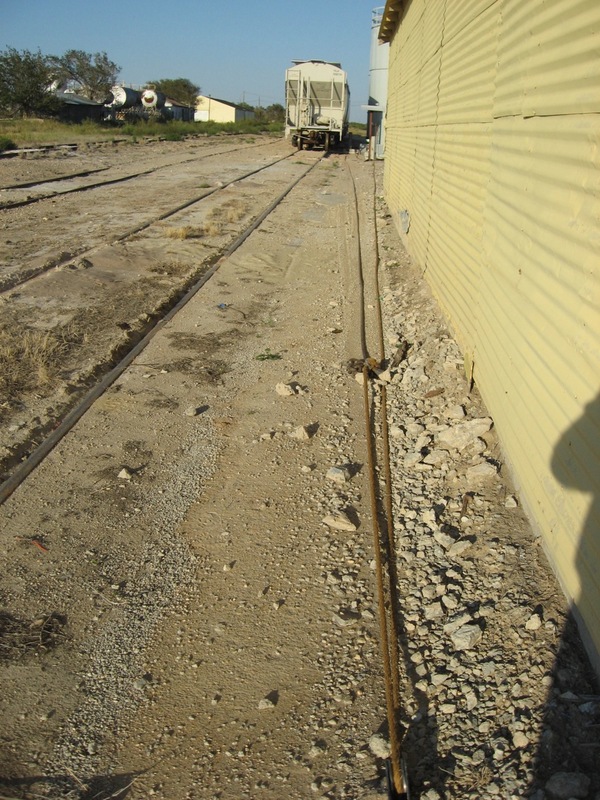 An open derail at Badger Mining, 2008. 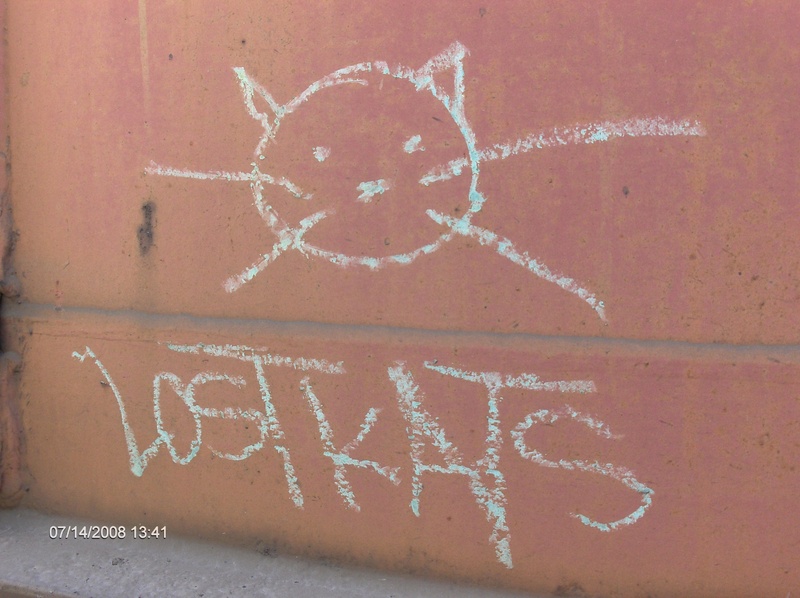 Note orange paint to denote derail. I did a three part series on derails earlier this year. 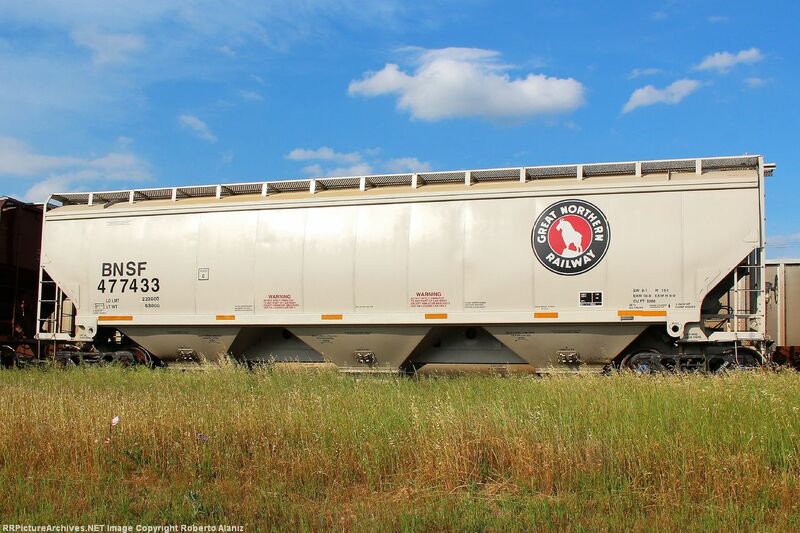 This was on the side of an ATSF hopper in Rankin. Pretty easy to replicate. 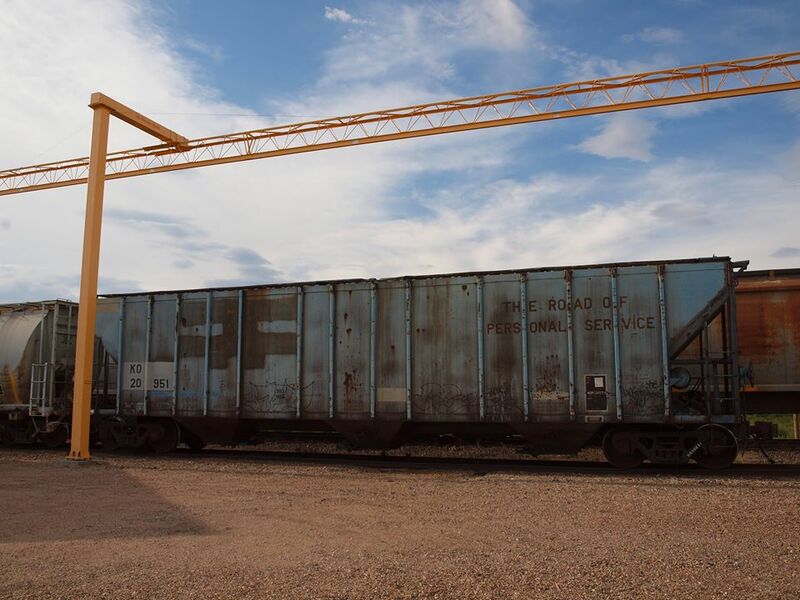 It is fascinating all the different ways that have evolved to move or unload freight cars without locomotives, many of which weigh well over 100 tons. 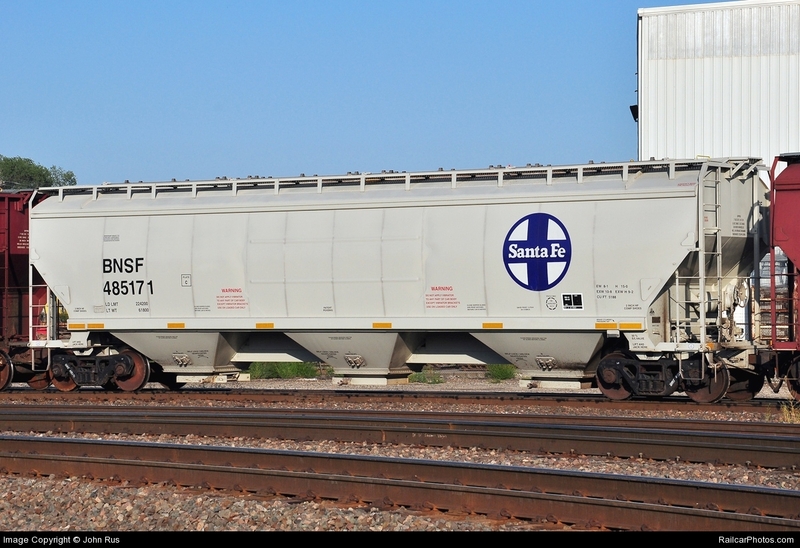 Track Mobile in Winona MN. 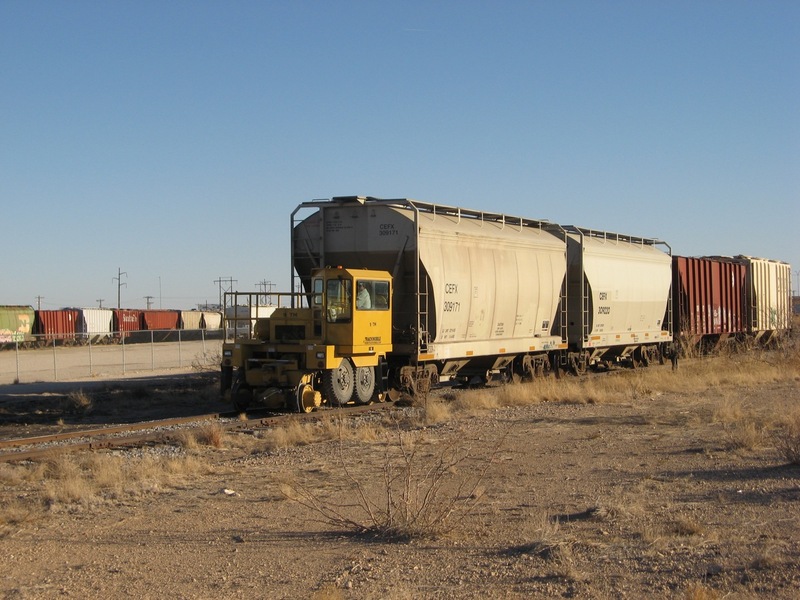 The need arises in industries that need to shuttle cars for various purposes but the volume is low enough that the industry cannot justify having a locomotive on hand. 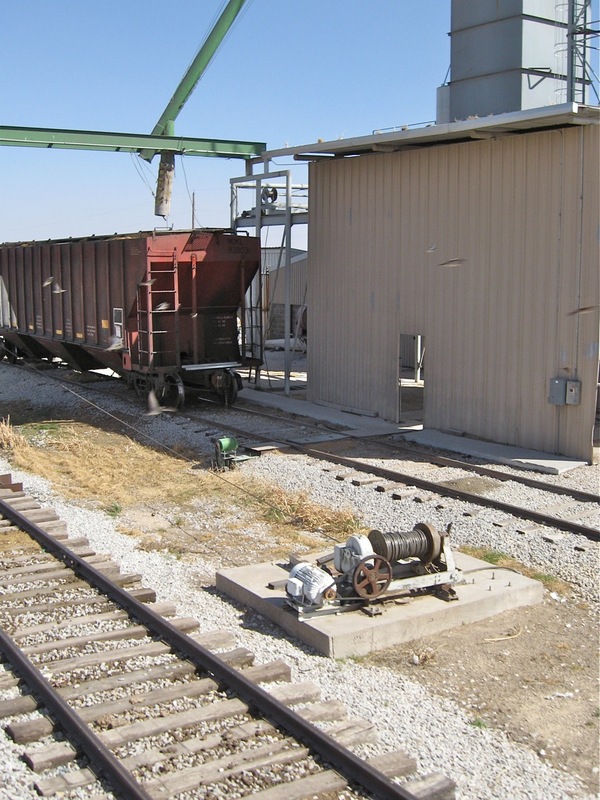 An example is an industry that unloads covered hoppers over one or a few unloading features such as a grate. Sometimes the unloading device can move so the cars don’t have to move. This devise is good for moving one car short distances at about five feet a minute. This is the first installment of a three part series on this topic. This post was a quick overview. The second will focus on a couple of industries in greater detail. 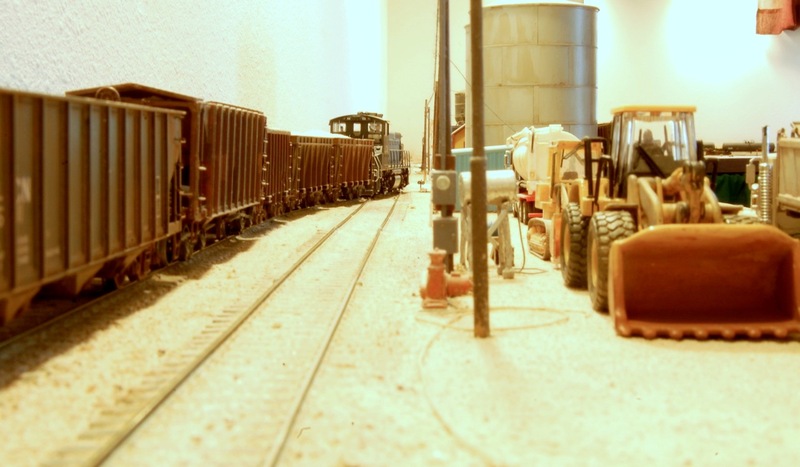 The last will show how this aspect of railroading has been modelled on B. Smith’s LCN Railroad layout. 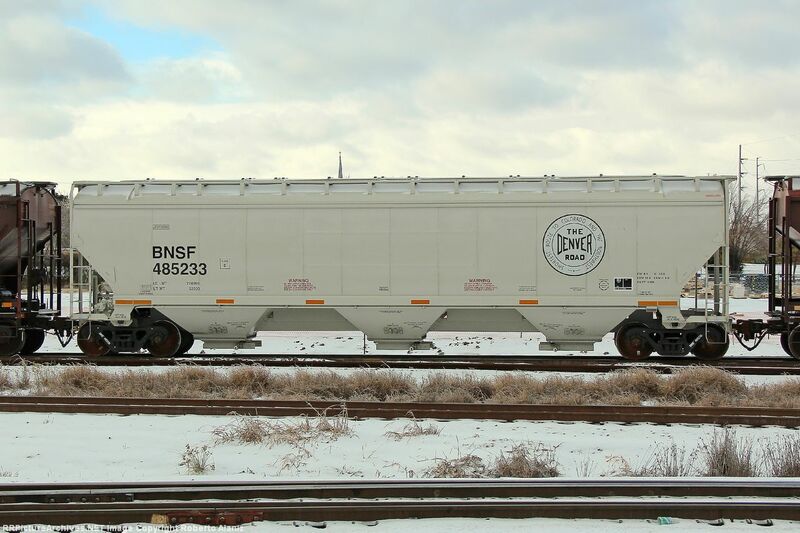 Recently, Tangent released a PS4750 decorated for the Chicago and Northwestern (ex-Rock). 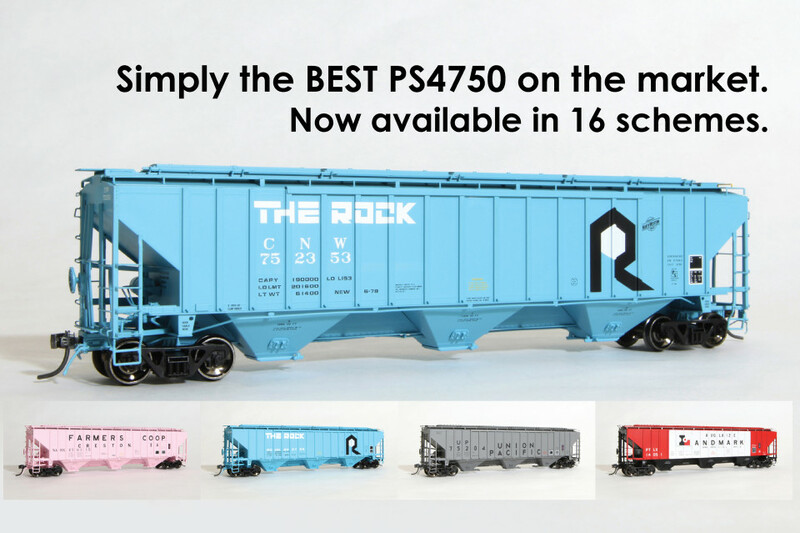 It is a gorgeous car that has already sold out, but Rock Island versions are still available. Many other road names are also still available. 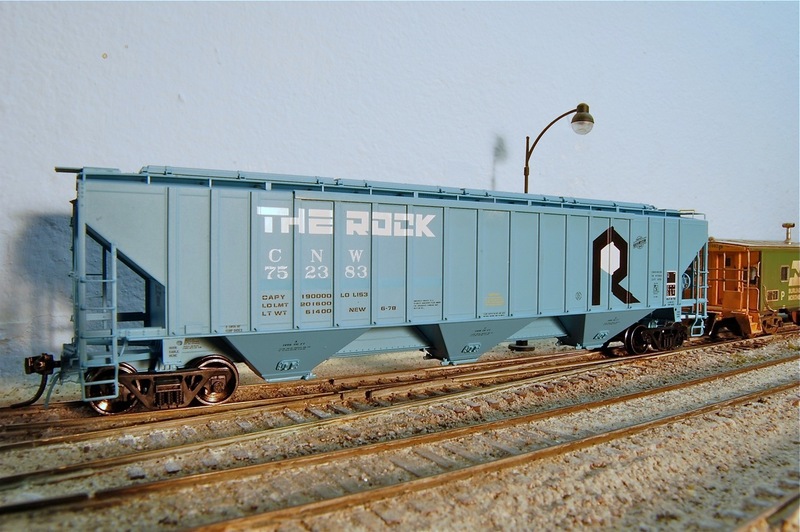 I purchased a number of them for my ATSF in Roswell layout . B. Smith has already weathered his. Here was his prototype model. Here is the unweathered version. Here is the weathered version. 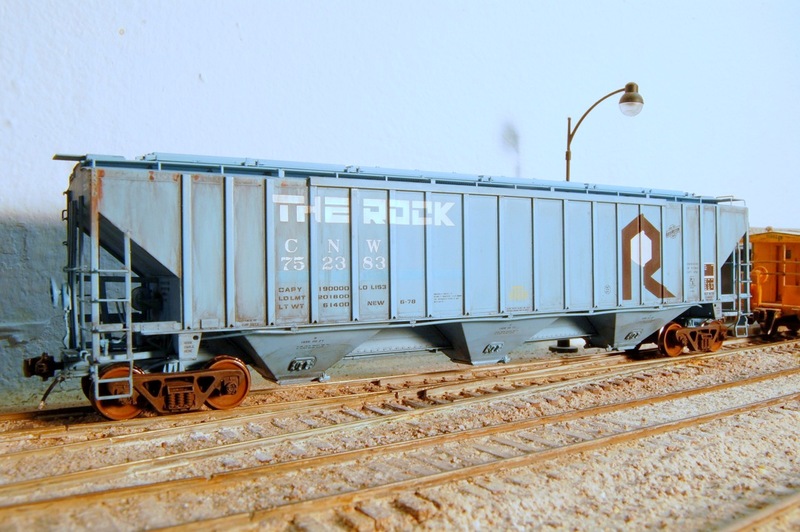 Now B. Smith is able to evoke a ROCK heritage car on his 1990s layout. Just as it was in the 1990s, the rails are full of great modelling opportunities today. 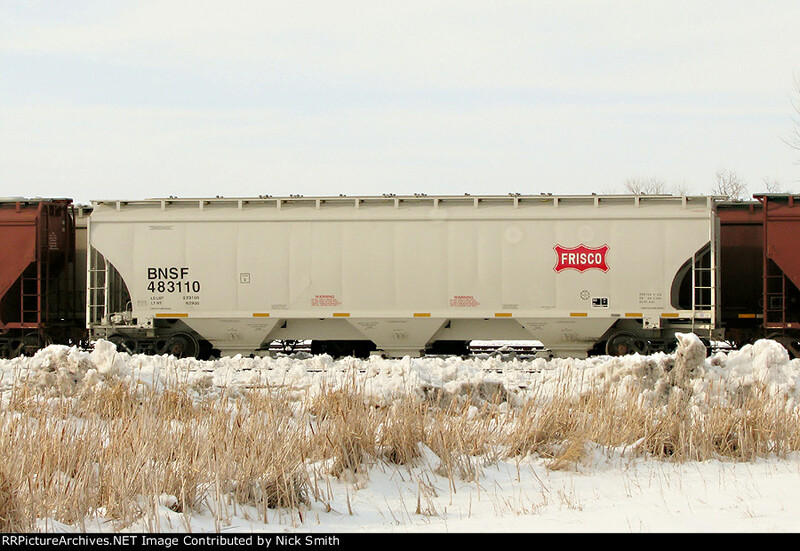 Both of the cars below were recently produced by Exactrail. With a little modification, they’d be right at home on a layout based in 2014. 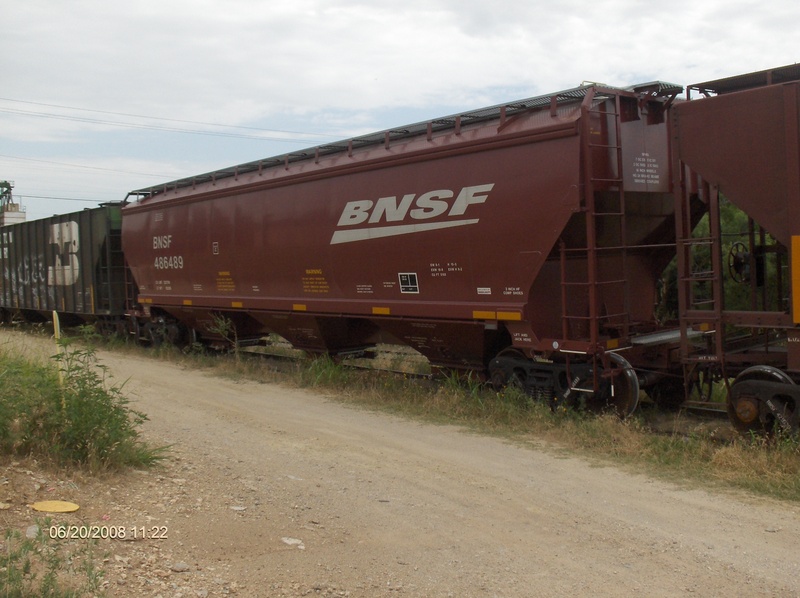 KYLE #27134 (ex-Louis Dreyfus) near Fort Scott, Kansas, August 2014 ©photo by Robert Houtwed. 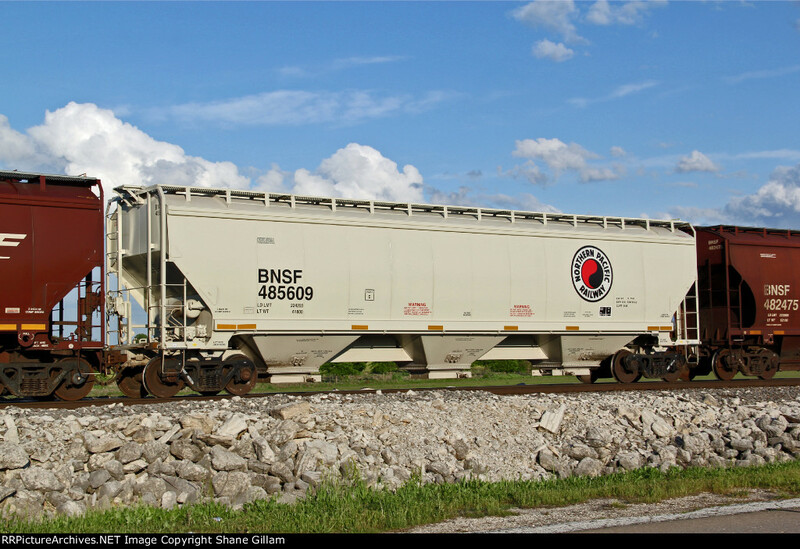 KO #20951 (ex-Aberdeen and Rockfish) near Fort Scott, Kansas, August 2014 ©photo by Robert Houtwed. Have fun patching and weathering!